I look in the mirror and see smile lines crinkle around my eyes. My hair is graying, and middle age spread is spreading about my middle. I don’t look much like Jesus. I look like a homeschooling mom hanging on by a thread: rumpled clothes because I had no time to iron, and hair that was brushed hours ago at 7:00 a.m. Looking at my spattered apron, you’d have no idea that Jesus lives in me. His Word says I’m a temple of His Holy Spirit. The Jesus in me is the first Jesus my kids see in the morning when I knock on their doors and wake them. The Jesus in me reaches out to squeeze my husband’s shoulder or give him a kiss. The Jesus in me prays for a friend who is struggling and listens if she needs to talk. The Jesus in me smiles at my neighbor and takes a moment to say hi or share good news. That scares me because the Jesus I carry inside sometimes gets tarnished. I snap in irritation rather than speak words of life. I think about my own needs rather than try to understand my friend. Some days I don’t want to act like Jesus. I’m tired. I’m selfish instead of self-sacrificing. I want to retreat rather than talk with my teenager, listen to my husband, or teach Sunday school. Last Tuesday, I didn’t want to go to our English conversation club. Each week we have an opportunity to be Jesus to students learning English. I didn’t feel like it, but God got a hold of me, so I went (and had a great time). You too? Ever wonder what kind of Jesus you’re showing to the world? 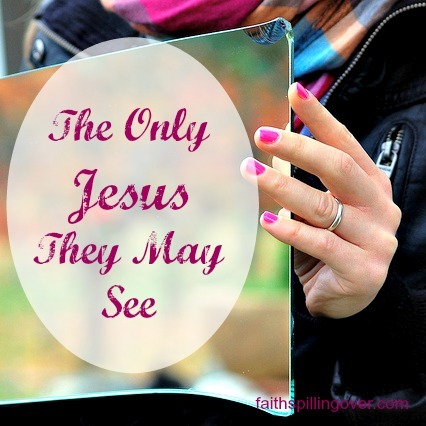 The good news is we don’t have to be perfect for people to see Jesus in us. If we’re transparent about our weaknesses, Jesus shines through us more brightly. If we confess our sins, God cleanses us and keeps using us. When we admit our failures and apologize to others, they see we’re just people too. Cracked vessels that let the light of Jesus shine through. Who can you be Jesus to today? Who can you smile at? Who can you touch or hug? Who can you call on the phone? Who can you send a text or write a note to? Who can you help? Who can you be a friend to today? You’re His living letter, the only letter from Jesus that some people may read. I’m excited today to link up with Suzie Eller’s #LiveFree Thursday. 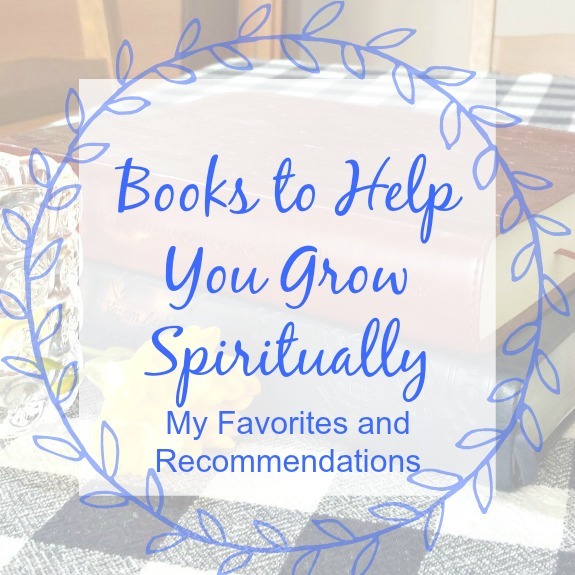 Also linking up with Holly Barrett’s #TestimonyTuesday and Kelly Balarie’s #RaRaLinkup. Check out these communities for more encouragement. So true. I’m always thankful that God’s light can shine through my cracked vessel. Thank you. Thanks for visiting here today, Kaylie. Let’s #livefree indeed! Clicked over from the #livefree link up and so glad I did! Such encouragement here to be real and trust Jesus to do His thing! Thank you! Betsy, this is such a great find at LiveFree Thursday! Great motivation to take a hard and prayerful look at the “me” I bring to my little world every day. Oh yes, Michele. I really want to start with those who sit at the breakfast table with me in the morning. Be Jesus to them. So hard! Oh Betsy, it scares me too. It is only through his power that I can be the person who draws others to Him. I pray others see Him in me today. I love the flow of this post. You say so much but do it succinctly. Beautiful, my friend. Sending hugs you way today. Thanks for your kind words, Abby. I pray along with you that others may see Him in you. I know they do! Love, love, love this Betsy! Thank you, Suzie. Love you #livefreeThursday community. Oh, I forget it too, Lisa. I’m sure they see God’s grace in you! Such beautiful words today, Betsy: “You’re His living letter, the only letter from Jesus that some people may read.” – Thanks for inspiring me to take actions on being Jesus to someone today. You’re quite right – our transparency will allow Christ to shine brighter. Others need to know that they can live the Christian life too – that Christ accepts one and all, just as we are, faults and all. If they view us as always having it all together, it could be quite a discouragement. We can be real, and show Christ. By the way, I’ve got that middle aged “spread” too, the mussed hair, the rumpled clothes. 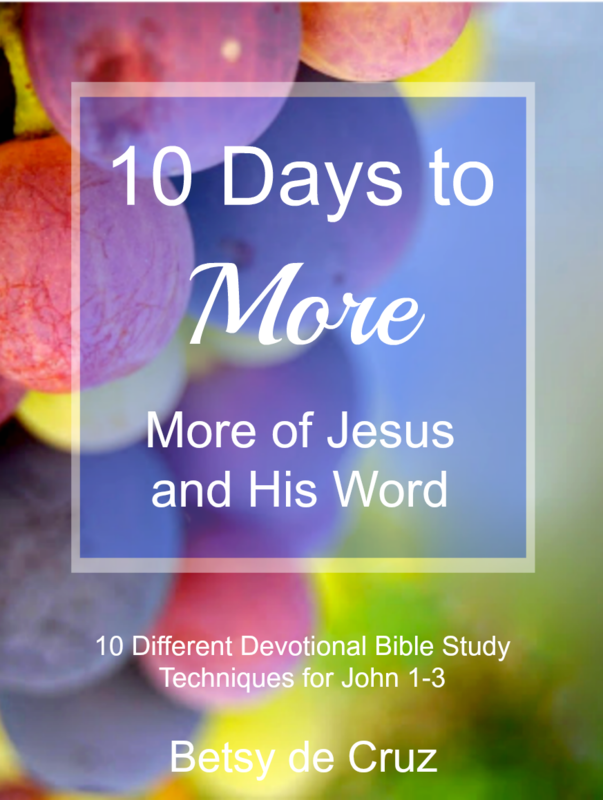 Number one grandson is seeing Christ in me daily too – I hope! Hi Betsy! I remember a friend, coming to me so overwhelmed. She was a teacher, and as she entered the halls of the school, she saw so many people. All she could think of was how she was to be Christ to all of them. I understand your feeling overwhelmed with that thought too! Thank you, Ceil! He never gives up on us. That’s for sure. Betsy … this is a gentle reminder this morning … and a much-needed way to start this week. May you be blessed this week, Linda, and may others see Jesus in you! Sometimes I cringe at the thought that I may be the only Jesus people see. What a poor representation I am! But I have to remember that the Lord does extraordinary things, so I need to go forth and represent anyway. Thanks for the encouragement, Betsy! I know how you feel Lisa. Me too. But we keep asking for forgiveness, keep confessing, and keep getting up again to keep on shining our dim reflection of Jesus! This is exactly what I needed to read this morning. As I struggle to just get out of bed these last few school days of the year and my career, I need to ask myself, who can I be Jesus to today? Thinking that I may be the only Jesus my students see really got me right between the eyes. Thank you for these words and for letting God speak through you to speak directly to me. Hugs! Oh Mary, may God give you ABUNDANT GRACE for the next few days! This is your last chance to shine Jesus at your school! What a beautiful reminder – and one I need to remember! I hate to think of how I must come across at work or when the kids have worn me down – those times when I’m not in my ‘happy place’ – yet we are the face of Jesus every day, even in our frustrations and brokenness. Oh you should see me, Kathryn. Just pitiful sometimes. But God doesn’t give up on me! And my husband and kids keep forgiving me everytime I ask for forgiveness. It’s such a challenge to remember this every day…especially when I am tempted to respond in the moment. Thanks for helping me remember that someone is always watching and it is my responsibility to represent Jesus well. Believe me, Holly. I’m tempted to “respond in the moment” plenty of times! Remembering this myself helped me when I was under stress last weekend! 2 Cor. 3:3 What an awesome verse! Loved that. It really speaks to writers too. Thank you for this. I am all of Christ to all the world, sometimes. We have such important roles; you drive this point home Betsy. Thank you. Cheering you on from the #RaRalinkup on Purposeful Faith. What a beautiful scripture Betsy! And such a wonderful reminder that we may be the only Jesus some people see. I look forward to receiving letters in the mail, so thankful that we can be His letters for others. What a lovely analogy, Ellen. I love getting letters in the mail, too!